Bobby Graves is general manager of TSSC, a not-for-profit corporation affiliated with Toyota Motor North America (TMNA), headquartered in Plano, Texas. TEMA supports Toyota's engineering and manufacturing operations in North America. He is responsible for project management paying special focus on timely delivery, quality and outcome as well as TSSC team member development. TSSC is a not-for-profit corporation affiliated with TEMA which shares Toyota Production System (TPS) know-how with North American organizations that have a true desire to learn and adopt TPS; as a way to strengthen the quality, safety and productivity of their production system. 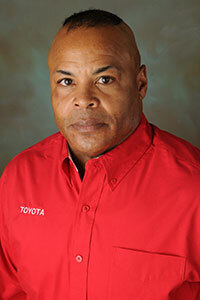 Graves began his career with Toyota in 1987 and progressed through a series of positions in production at Toyota Motor Manufacturing, Kentucky (TMMK) responsible for assuring overall quality within all production shops. In 1997, he was assigned to TMMK’s operations development group where he trained Toyota Production System (TPS) know-how to team members from all levels of the organization and coordinated internal TPS activities. During his 15 years at TMMK, Graves supported multiple production launches and all-new model introductions. From 2003-14, he served as manager for TEMA’s operations management development division, working closely with Toyota’s North American plants and suppliers to help streamline processes and strengthen TPS activities. In this role, he supported internal & external continuous improvement projects and training workshops. Prior to joining Toyota, Graves worked at the Federal Bureau of Investigation in Louisville, Kentucky where he was an auditor for the white collar crime unit. He obtained a Bachelor of Science in Operational Management from Western Kentucky University (1981) in Bowling Green, Kentucky. Originally from Columbia, Kentucky, Graves still owns and maintains a family farm.